Maude has moved to Paris from a small country town in the 1880s to escape marriage to an older man. She finds it harder to find work and survive than she imagined, so when she answers an ad and is offered employment at an agency that rents out repoussoirs, plain or ugly young women who act as companions and foils to debutantes to make them appear more beautiful, she is forced to take it. She ends up pretending to be a friend of the family of Isabelle Dubern, and does such a good job that she is offered exclusive employment with the family. 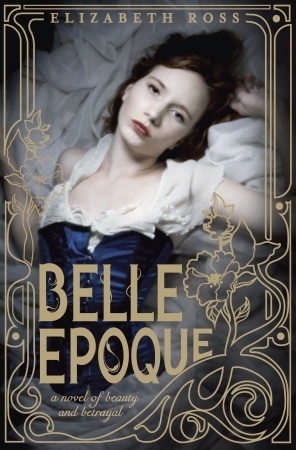 Isabelle comes to consider her a friend, and confides her dreams of studying science at the Sorbonne. This is a problem, because Maude's job (and future employment as well) hinges on getting Isabelle to marry a wealthy man. Maude manages to make friends of her own in Paris, including the composer Paul Villette, and many of the other girls at the agency. She also learns to take photographs, and Isabelle gives her a camera as a gift. In the end, Maude and Isabelle both refuse to bow to societal norms, and instead embark on the difficult mission of making their own way in the world. Strengths: *Sigh* This was a wonderful book. So many good things going on-- the high society, the burgeoning new middle class and their ideas of freedom and equality, the arts. Pair this one with the (slightly later in time) Cinders and Sapphires. The best part of this? Nothing inappropriate for middle school. I may buy a copy because I adored it so much. My thoughts: I have this on my list to read as soon as I finish graduate school! A gorgeous cover - one of my favorites from this year.